We hope you find these pages beneficial as you try to protect your children at home from online dangers. • Make sure your child doesn't spend all of her time on the computer. People, not computers, should be their best friends and companions. • Keep the computer in a family room, kitchen or living room, not in your child's bedroom. • Remember that this tip isn’t very helpful when your children have handheld and mobile Internet and text messaging devices. You can’t make them keep their cell phones in a central location. So make sure that the “filter between their ears” is working at all times. • Learn enough about computers so you can enjoy them together with your kids. • Teach them never to meet an online friend offline unless you are with them. • Watch your children when they're online and see where they go. • Make sure that your children feel comfortable coming to you with questions and don't over react if things go wrong. • Keep kids out of chat rooms unless they are monitored. • Encourage discussions between you and your child about what they enjoy online. 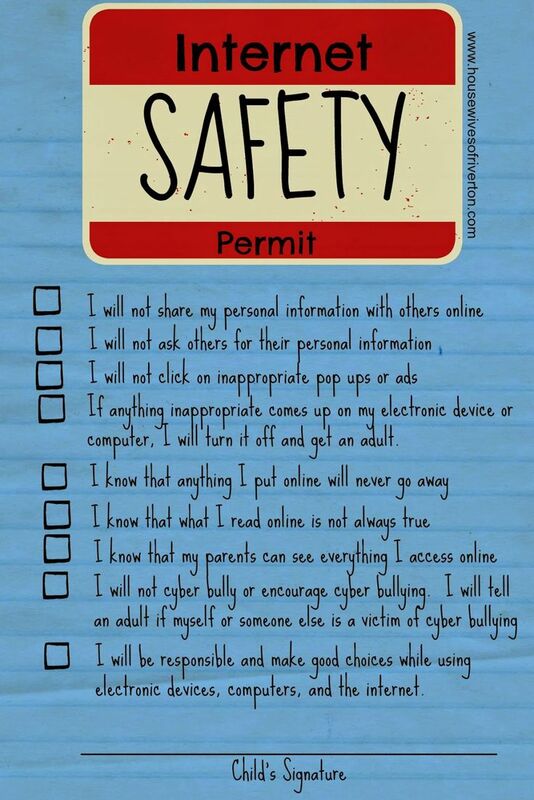 • Discuss these rules, get your children to agree to adhere to them, and post them near the computer as a reminder. • Find out what e-mail and instant messaging accounts they have and (while agreeing not to spy on them) ask them for their passwords for those accounts. • “Google” your children (and yourself) often and set alerts for your child’s contact information. The alerts will e-mail you when any of the searched terms are spotted online. It’s an early warning system for cyberbullying posts, and can help you spot ways in which your child’s personal information may be exposed to strangers online. To learn how to “Google” them, visit InternetSuperHeroes.org. • Teach them what information they can share with others online and what they can't (like telephone numbers, address, their full name, cell numbers and school). • Check your children’s profiles, blogs and any social-networking posts. Social-networking Web sites include xanga.com, livejournal.com, facebook.com and buddyprofile.com. They shouldn’t be used by preteens and should be only carefully used by teens. • Get to know their "online friends" just as you get to know all of their other friends. • Warn them that people may not be what they seem to be and that people they chat with are not their friends, they are just people they chat with. • If they insist on meeting their online friend in real life, consider going with them. When they think they have found their soul mate, it is unlikely that your telling them “no” will make a difference. Offering to go with them keeps them safe.